Can you down the clowns? Another great carnival classic. 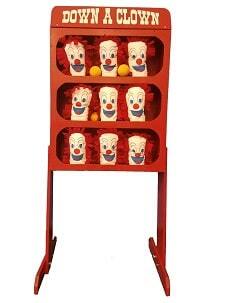 Your guests will have tons of fun trying to knock down these clowns. A gauranteed crowd pleaser! Game includes 3 soft balls.